He was stopped at the Russian request. Ukraine's former prime minister and People's Front leader, Arseniy Yatsenyuk, had an exchange with law enforcers at Geneva airport on 23 December. He was stopped at the Russian request, his press secretary Olha Lappo said on Facebook. 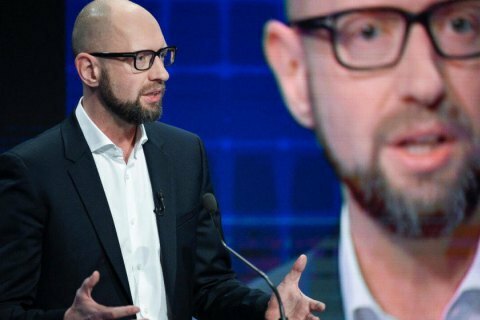 "Arseniy Yatsenyuk, who arrived in Geneva together with his younger daughter, was stopped on passport control on Russia's inquiry related to the widely known absurd allegations about his participation in the war in Chechnya. It took 10 minutes to sort things out and he was allowed to go. He was warned that there could be a similar procedure at departure," she said. Despite Russia's allegations being utterly absurd, they have real-life consequences, she added. In 2015, the Russian Investigations Committee said that Yatsenyuk had taken part in the Chechen war fighting against the Russian government forces. On 27 March 2017, Russia's Yessentuki city court arrested Yatsenyuk in absentia for "atrocities in Chechnya". In April, the Interior Ministry of Ukraine received a copy of the Russian request to Interpol's General Secretariat in Lyon to put Yatsenyuk on the international wanted list to have him arrested and extradited to Russia.